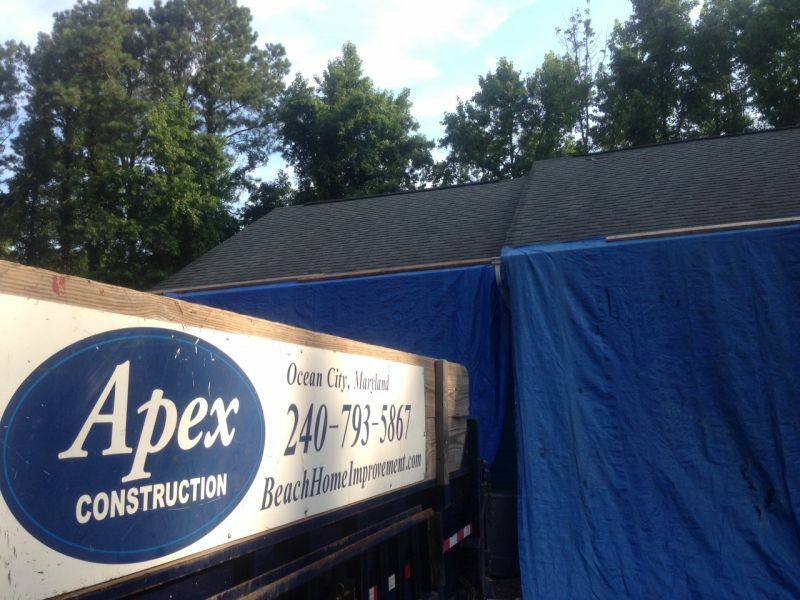 Apex Construction installed a 30 year asphalt shingle roof on this Ocean Pines, MD residential house. Asphalt shingles are the most popular roofing material on the Eastern Shore. In fact, if you drive around a typical residential neighborhood such as Ocean Pines, approximately three out of four homes you pass will have asphalt shingle roofing. Apex Construction is a certified GAF roofing contractor. Contact us today for a quote on your next residential or commercial roofing project. The popularity of asphalt roofs—also known as composition roofs—stems from their cost effectiveness and performance. While materials such as slate and tile may last significantly longer than asphalt, their high price tag makes them unrealistic for the majority of homeowners. Furthermore, technological advancements have resulted in asphalt shingles that are more attractive, longer lasting, and better for the environment. For example, GAF makes 30 year asphalt roofing shingles when installed by a certified GAF installer. Apex Construction is a GAF certified roofing specialist.